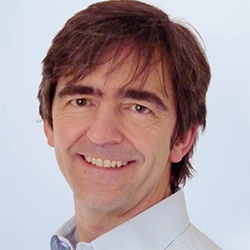 During the last 15 years, Niall has advised and coached business leaders on change initiatives and has designed and led seminars and workshops in marketing, strategy, customer-centricity, innovation & business acumen. An experienced management educator, workshop facilitator & business coach, Niall is passionate about helping businesses gain fresh insights about their markets and customers and how they can create, deliver and capture value. Niall believes in the unbreakable bond between strategy execution & the behavioral and emotional dimensions of leadership. Designed and led the delivery of a multi-year, multi-level leadership development program to build commercial acumen of middle & senior management (very large UK organisation); Developed & implemented a Key Account Management process (Fortune 500 company); Worked closely with top execs to design and implement a program to enhance and accelerate culture of innovation (Euro50 company).